Shanghai, August 17, 2017 – Mastercard today announced the launch of “Raise Her Business Plan – Mastercard Entrepreneurship Training Program for Women and Children”, in collaboration with China Women’s Development Foundation (CWDF) and Shanghai Women’s Federation (SWF). This is the second program to be rolled out under the “Mastercard Women’s Entrepreneurship Fund”, Mastercard’s first exclusive fund in China established last year as part of a three-year partnership with CWDF to advance financial inclusion and women’s entrepreneurship in China. Over the course of four months, “Raise Her Business Plan – Mastercard Entrepreneurship Training Program for Women and Children” will provide quality training to more than 5,000 women in Shanghai. Led by industry experts, a series of 50 comprehensive training classes centered on three key themes – family economic growth, health and well-being, and sustainable cities and communities – will be held. The trainings seek to empower women and improve their quality of life by equipping them with entrepreneurial, financial and business literacy skills. The training will also cover other areas ranging from home economics to arts and culture and childcare. The first financial literacy class will be conducted by Mastercard employee volunteers for women in the Jiangchuan Road neighborhood of Minhang District, Shanghai. To extend beyond geographical boundaries, the program will be accessible online via the Minhang District Women’s Federation’s WeChat platform, where a dedicated column on family education and online classrooms for women will be made available. Other activities such as parent-child classes and book clubs will also be organized on the platform. “We are very pleased to be working extensively with Mastercard to launch yet another women’s community training program. With the support of the ‘Mastercard Women’s Entrepreneurship Fund’, we are able to develop a more diversified training program for women’s advancement through China Women’s Development Foundation ‘Raise Her Business Plan’ program. This will no doubt help to further improve their financial literacy skills and business acuity. In the future, we look forward to expanding the project to more areas and continue our contribution to the overall advancement of women,” said Guoying Qing, Vice President of China Women’s Development Foundation. “At Mastercard, we believe women should have equal opportunities and access to the financial and entrepreneurship tools and technology that enable them to take charge of their lives and realize their full potential. However, such endeavors need close public and private sector collaboration such as our partnership with China Women’s Development Foundation and Shanghai Women’s Federation. Together with likeminded organizations, we can continue advancing opportunities for China’s women and girls,” said Julie Yang, Executive Vice President, China, Mastercard. To mark the 30th anniversary of Mastercard in China, the company launched the “Priceless Causes” public welfare initiative, and partnered with China Women’s Development Foundation to establish the “Mastercard Women’s Entrepreneurship Fund” in 2016. The three-year partnership aims to support financial inclusion in China and enhance the business skills of women in China. The announcement today builds on the first program initiated through the Fund, titled “Raise Her Business Plan – Revolving Loans for Mothers”. Completed in June, the program targeted underprivileged and unemployed women in Beijing’s rural and urban areas. It provided small loans, totaling approximately US$150,000 (1 million yuan), for up to one year to 12 poverty-alleviating initiatives related to handicraft, female entrepreneurship guidance and training, as well as domestic services. Two days ago, Mastercard announced a donation of US$150,000 (close to 1 million yuan) to China Women’s Development Foundation in support of their earthquake relief efforts in the Jiuzhaigou County of Aba Prefecture, Sichuan Province. The donation contributed towards providing food and supplies to women and children in disaster-affected areas, as well as the reconstruction of their homes, livelihoods and educational facilities. This is part of Mastercard’s global commitment to provide 100 million school meals to children around the world for the purpose of addressing child poverty and hunger. 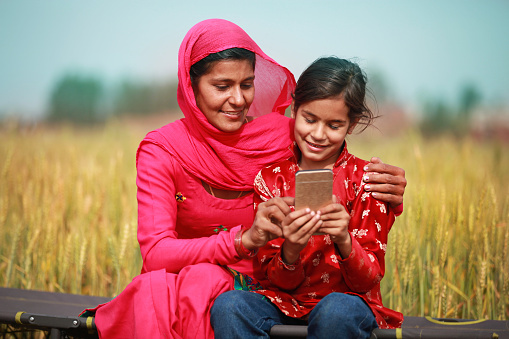 To date, Mastercard’s financial inclusion and women’s empowerment initiatives across the Asia Pacific region have impacted more than 300,000 women and girls. To learn more about Mastercard’s corporate citizenship efforts, please visit here. The China Women’s Development Foundation is a 5A-level foundation and a national public-raising foundation founded by the National Women’s Federation in December 1988. Its permitted areas for public donations are China and countries and regions that are allowed to donate to the China Women’s Development Foundation. For a long time, the China Women’s Development Foundation has carried out a series of charitable projects in subjects of women’s poverty alleviation, women’s health, women’s entrepreneurship, and other areas of utmost interest, direct, and realistic concern to women with remarkable social achievement. The five projects implemented by the organization, ” Mother Small Revolving fund”, “Mother Health Express”, “Mother Cellar”, “Poor Model Mother Subsidy Program” and “Mother Parcel” received the highest charity award awarded by the Chinese government – the Chinese Charity Award. In July 2016, the organization was granted special consultative status at the United Nations Economic and Social Council (ECOSOC).